Bagamoyo was named by the slaves, as they left heartbroken and worrying about their families they had left behind – the name means `lay down your heart’ in Kiswahili. Although the slave trade officially ended in 1873, slaves continued to be sold and traded in Bagamoyo through the end of the nineteenth century. The site is where German colonial government hanged Africans who rebelled against the German colonial government in the late 1800s. 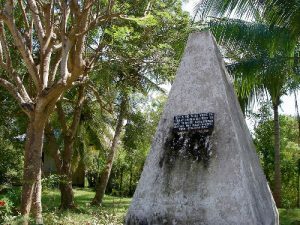 The Mwanamakuka Cemetery’s oldest tomb dates from 1793, representing the first evidence of a permanent settlement in Bagamoyo. The German Government colonial administration headquarters was the first capital town of German East Africa and the governor’s residence. It is an impressive two-storey building topped by crenulations, constructed in a U shape. They are pointed arches on the ground floor, also served as German administrative centre from 1897. In front of the Boma is the UHURU MONUMENT celebrating Tanzania’s independence in 1961 and a bandstand. Dar es Salaam is a patchwork of past and contemporary cultures with Eastern, German and British influence – Eastern in the shops and Bazaars of India street, German in the almost Bavarian Railway station and the post-telegraph offices, British in the legacy of flowers and gardens. It is fundamentally, however, a Swahili city. The first quality of the city that the visitor notices is the extreme friendliness of the people – beaming smiles enthusiastic conversation at the drop of a hat. The word Dar es Salaam is Kiswahili for ‘Haven of Peace’. The city’s natural harbour and its central location on the coast made it a natural choice for a trading centre. Sultan Majid bin Said of Zanzibar had planned to develop the harbour in 1866. German colonists revived the Sultan’s plan in 1887. Dar es Salaam is the largest city and the political and economic capital of Tanzania. Located in a quiet bay off the Indian Ocean coast, the city has grown in economic importance to become a prosperous centre of the entire East African region. The city displays the many influences of its history. Its mixture of Arabic, Asian and European history gives a special atmosphere to surroundings, streets and life. A tour though the city to experience the true warmth and hospitality of the people of Dar es Salaam is a must! Kilwa is a World Heritage Site and has the best preserved ancient Swahili buildings in Tanzania. This area was developed in the 12th to the 15th Century and became the greatest trading port along the East African coast. This ancient settlement was once hailed as ‘one of the most beautiful of cities’. Kilwa is of great historical interests and scenic beauty. 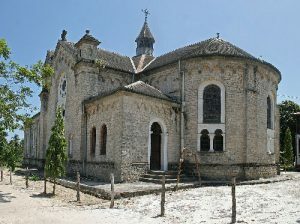 The town of Kilwa as such is divided into three different towns – Kilwa Kivinje, Kilwa Masoko and Kilwa Kisiwani. Kilwa Masoko is the most developed town and the regional hub. A colourful market is held daily on the square at Kilwa Masoko. Men in white robes and women in black buibuis gather under the mango trees to barter fresh produce and a variety of goods; whilst Kilwa Kivinje and Kilwa Kisiwani have spectacular historical attractions. Kilwa Kisiwani is an island reached by dhow and has an amazingly well preserved collection of ruins. On arrival as you sail from the mainland the most striking sight is the old Omani Fort, which is built on the foundations of an old Portuguese fort. The Big Mosque dates from the 12th Century and was once the largest mosque in East Africa. The Sultans palace is located directly south of the mosque and contains four graves. The small mosque dates from the 15th Century is still in use today. The large complex of walls in the west of the island is called “Makutani” and contains a palace from the 18th Century, another Sultanas palace, and a mosque from the 15th Century. All the way to the east of the island there are the ground walls of the “Husuni Kubwa”, once the largest building in tropical Africa. Local guides give tours of the ruins and dhows can be arranged from the small jetty on the mainland. The site is quite spread out and you can easily spend a whole day walking around all the ruins. Kilwa Kivinje was an ancient Arabian slave and ivory trading town, where caravans departed for expeditions to the interior. When the Germans assumed control at the end of the 19th Century, the colonial government built a fort and extended the town. Today you can still find a Market Hall, the Fort, and two pillars commemorating the one for the dead of the Maji Maji War. The Mnazi Bay-Ruvuma Estuary Marine Park is a collection of diverse habitats ranging from mangroves along the estuary mouth to mudflats to coral reefs and white sands. There is good diving available here and coast line is just idyllic. The river estuaries and large mangrove swamps provide a perfect habitat for a wide variety of birds. These areas are used for feeding and breeding of waterfowls. Some of the more common birds to be found include: Sandpipers, Herons, African Storks, Fish Eagle, Kingfishers, Oyster Catchers and Hawks. Fruit bats can also be found feeding and roosting around Kilwa; with Hippos and crocodiles to add to the adventure as they also live close to where the rivers enter the mangrove swamps. Fishing behind the reefs and in the bay make for an excellent big game fish opportunity; maybe the best along the East African Coast is found here. Mafia Island is set off the coast of central Tanzania, 20 km from the Rufiji River Delta. This quiet island offers diving and snorkelling, the whole island is surrounded by an unbroken barrier reef. The diving here is some of the best the world has to offer. Game fishing, forest walks, bird watching (with over 120 bird species) and deserted beaches make Mafia a truly magic place to visit. The island is 50 km long and 15 km wide. The barrier reef that surrounds the island is teaming with marine life. There are over 400 species of tropical fish in these reefs as well as five species of turtles. The coral gardens and coral heads are spectacular and with walls at various levels give the diver, either beginner or more experienced a profusion of underwater habitats to explore; PADI training is available in some of the hotels. The island has thriving tidal mangroves, palm wooded grassland and lowland rainforest – with the huge Baobab also found here. The Chunguruma Forest has a dense canopy interlaced with palms, with the floor of the forest carpeted with ferns; there are four endemic species of butterfly here. The centre of the island is dotted with a series of reed-lined lakes, which are home to a number of small hippopotami. These lakes are thought to have once been lagoons that became landlocked thousands of years ago. The island has a colony of flying foxes, bushbabies, monkeys, squirrels and monitor lizards. Enjoy some of the best snorkelling off the East African coast and explore many coral reefs that are teeming with tropical marine life. The Park is also a paradise for sailing from island to island in native boats. On land, the rich variety of vegetation is dominated by large palm groves. In some areas, baobab trees dot the typical African savannah. There are also fruit trees in many areas, mainly mango and cashew trees. The four (4) Upepo suites offer an idyllic sanctuary for the safari-weary traveller in search of tropical respite and castaway comfort. Set apart from the main lodge, perched amidst tropical forest on the hill behind, each suite comes with its own private areas and signature Sultan’s bed and verandahs come bejewelled with a private dip pool against an infinity backdrop. The guest area is a soaring thatched structure affording superb views of the beach, lagoon and the ocean. Sink into soft pillow seats for pre-dinner drinks or a post-lunch nap as Ras Kutani is truly ‘Home-away-from-Home’. Chefs pride themselves on preparing fresh ‘fruits of the ocean’ fare as well as Pan African cuisine. While relaxation is the keynote at Ras Kutani, a full range of activities is on offer for the more active – body boarding, surfing, snorkeling or explore the fresh water lagoon on a kayak, horse rides along the beach or through the bush and local plantations, nature walks through indigenous coastal forest, guided walks to local inland or fishing village along the coast, deep Sea fishing or full day excursions to Latham island and Zanzibar Channel. Pemba Island is 50 km north of Zanzibar and is famous for its spices and coconuts. Isolated from Arab and then European colonization, it has remained completely untouched and unspoiled by any modern development. This sleepy island is an ideal place for a honeymoon or just to relax and unwind. For the more energetic, Pemba is listed as one of the top diving locations in the world. It has, without doubt, some of the clearest water in the world and most beautiful reefs. Although part of the Zanzibar archipelago, Pemba is a destination in and of itself with numerous surrounding islands and islets spread all along its coast. Pemba has some of the world’s best diving and fishing and because it is not as travelled as its more famous neighbour, Zanzibar, it is that much more pristine. The island is also dotted with ruins dating to the 7th century when Arab traders built permanent mosques to spread Islam. Pemba has been an important trading centre along the Swahili coast for 3,000 years and once played a major role in trade with Persian Gulf countries and India. The warm Indian Ocean waters surrounding Pemba Island are home to thousands of species of tropical fish and exotic marine life. Pemba is renowned not only for its pristine and un-spoilt coral reefs but also for its vertical coral cliffs, which plummet to depths of more than 800 meters. Underwater visibility often reaches 40 meters or more. Looking over the precipice of some of the outer walls can be a mind-blowing experience. Watch out for the vertigo! There is a stunning wreck dive available to the south of Pemba Island at Panza, which is home to large groupers and Napoleon wrasse. On a low tide, walking along the sand flats will reveal an astonishing array of inter-tidal wildlife. This is particularly interesting for bird watchers as the waders, such as herons, ibises and egrets, flock to the area to hunt for small invertebrates and fish left behind on the sands and in the shallow sea pools. You can sometimes see the beautiful fish-eagle circling overhead and hear the shrieking of the brown-headed parrot in the trees. Other things to discover include many different shells, crabs, starfish and the peculiar mudskipper, a fish that can skip across the sands on its pectoral fins. Other activities include traditional dhow sailing trips, which are popular at sunset. Sail around the Island on a wooden dhow, listen to the wind in the sails and the water lapping around the dhow as the sun sets over the Indian Ocean, turning the skies into a myriad of colours. A cluster of islands nestled in the Indian Ocean just off the east coast of Tanzania. The two principal islands in the group are Zanzibar and Pemba. Smaller islands are scattered around these, which range from mere sandbanks to those with their own ethnic grouping and a fierce sense of identity. A cliché it might be, but Zanzibar is one of those words, that conjures up adventure, remoteness and excitement. And Zanzibar really does have something for everyone. If your idea of heaven is to lie on the most perfect of perfect beaches, undisturbed by anything more than the occasional hermit crab, you’ll find tiny, abandoned coves where you can forget the rest of the world exists, and stir only to flop into the bath-warm sea, or if your burning desire is for colourful local traditions, crumbling picturesque ruins and dim, fascinating markets, Zanzibar has all this in spades, too. And if you’d prefer a bit of both, the small size of the islands and proliferation of places to stay in all price ranges makes Zanzibar the ideal destination for touring. For water sports enthusiasts, the coral reefs and open sea between Zanzibar and Pemba are justly famous for the quality of their snorkelling, diving and big game fishing. Most accounts of Zanzibar in travel literature and fiction begin with a description of the port of Stone Town, the island’s capital, from the sea. It’s certainly an unforgettable sight. Minarets and graceful, curved towers rise above the turquoise waters, the smell of cloves wafts on the breeze, and Arab dhows with sails the shape of the crescent moon bob gently in the harbour. On arrival, you’ll end up in one of two places – the narrow, winding streets of Stone Town’s old quarter, or the glittering beaches of the coast. Everything seems very, very exotic. The Swahili people of Zanzibar have been welcoming strangers to their country since the first Phoenician ships blew into the harbour on the northwest monsoon of 600BC, or thereabouts. They’ve seen Greeks, Arabs, Persians, Portuguese, Indians, Chinese, American and British ships anchor offshore in the centuries since, so not much can faze them. Ancient visitors to the island came to trade — gold, silks, ivory, spices, animal skins and, most notoriously, slaves. But many stayed, intermarrying with the locals to form a culture that’s uniquely diverse, and producing a race of people who regard hospitality to strangers as a sacred duty. The word you’ll hear first, and most frequently throughout your stay, is Karibu (welcome in Swahili). And astonishingly, considering a colourful history of conquest, slavery and revolution, they mean it.